NVIDIA has published a new set of WHQL graphics drivers for all GeForce-based graphics cards. R388.00 adds support and optimizations for Destiny 2 and Assassin’s Creed Origins. More information is available HERE @GeForce.com. 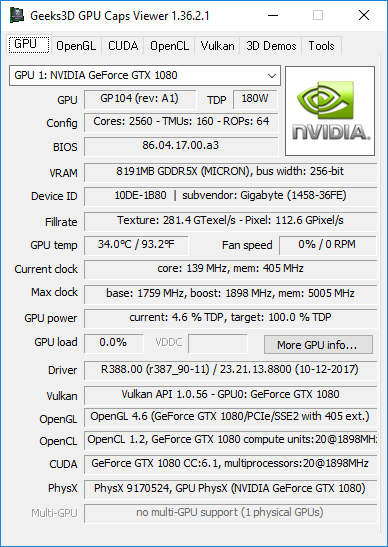 Nvidia GeForce 388.13 WHQL driver.